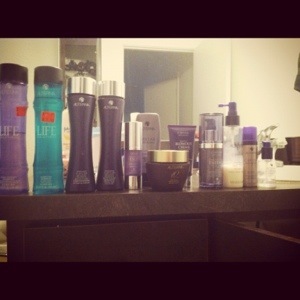 Alterna | hair, there and everywhere! So I wanted to establish my hair products at the baseline of my journey. I am definitely an Alterna girl. I LOVE their Caviar line. It has always performed really well on my hair. 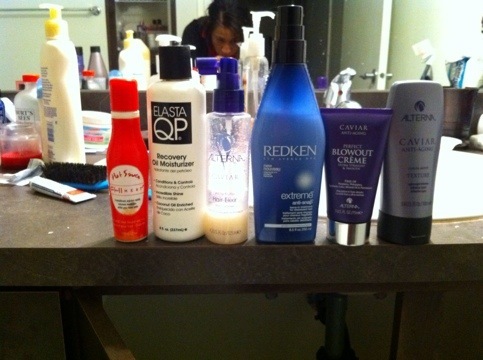 I have had various stylist use it in my hair. 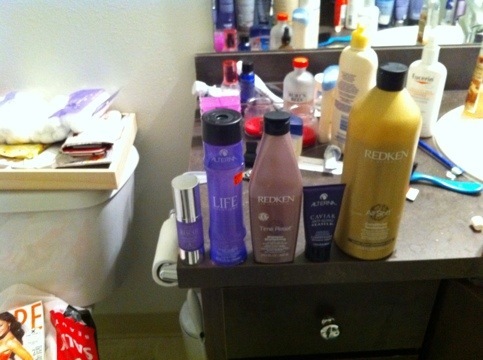 I also really like Redken products, especially the All-Soft line. It is a great way to soften and detangle those unruly hairs! If you look at the prices of some of the products, they make you want to scream. I know that they are pricey, but some of them I have had forever, as a dab will do you since they are so concentrated. I also see healthy hair as an investment! Since I am no longer spending money at a salon, I can use that money and invest in the best haircare products that work for me! So here’s my regiment … Which I am sure will change over the course of my journey! But here is a snapshot of what I do now. – Alterna Life shampoo: I love this shampoo! It cleanses well and makes my scalp tingle!!! – Redken Time Reset: This shampoo is supposed to undo the damage that the environment, chemical treatment and age does to hair. I must say, I am not really that into it, but it does the job. – Alterna Caviar: THE BEST CONDITIONER!!!!! It makes my hair so soft and has great detangling properties. – Redken All-Soft: Another awesome conditioner. Contains gold camelina, avocado oil, olive oil and silk amino acids that really soften my hair. I cocktail all of these together … using a minute amount of each. These products are highly concentrated and using too much can leave your hair weighed down. – Elasta QP Recovery: Adds moisture to my hair! Aids in restoring elasticity and is fortified with extracts of birch, chamomile, rosemary and emolient coconut oil. – Redken Extreme Anti-Snap: A protein leave-in that is safe enough for weekly use. It also contains a heat protectant, which is a double bonus!! I use this mainly on my ends and new growth, which is prone to “snapping” off! – Alterna Caviar White Truffle Hair Elixir – Has a UV protectant (which was extremely important when I lived in Hawaii … now that I am in Oregon, eh, not so much) as well as thermal protectant properties. It also helps soften and shine hair. I use about two pumps of this in my cocktail. – Alterna Caviar Perfect Blow Out Creme – AH! Perfect for those blow outs (which I do all the time … which will soon come to an end … ) I also plan on using this as a setting creme. Really straightens hair and has thermal protectant properties! – FHI Hot Sauce – Hot Sauce! Hot Diggity Sauce! (OK … not funny!) This is for the sheer thermal protection of my hair. 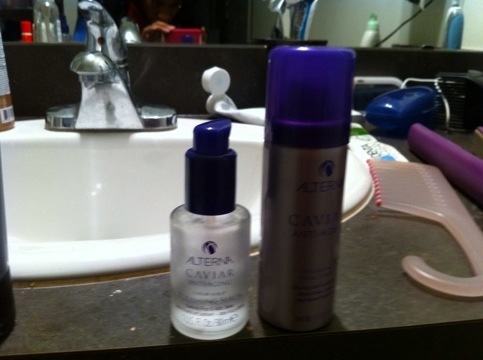 – Alterna Caviar Polishing Serum – A lightweight formula that I put on before I flat iron. Leaves hair shiny, but does not weigh it down. – Alterna Caviar Hair Spray – Very light hairspray; non-sticky. I use this as needed!